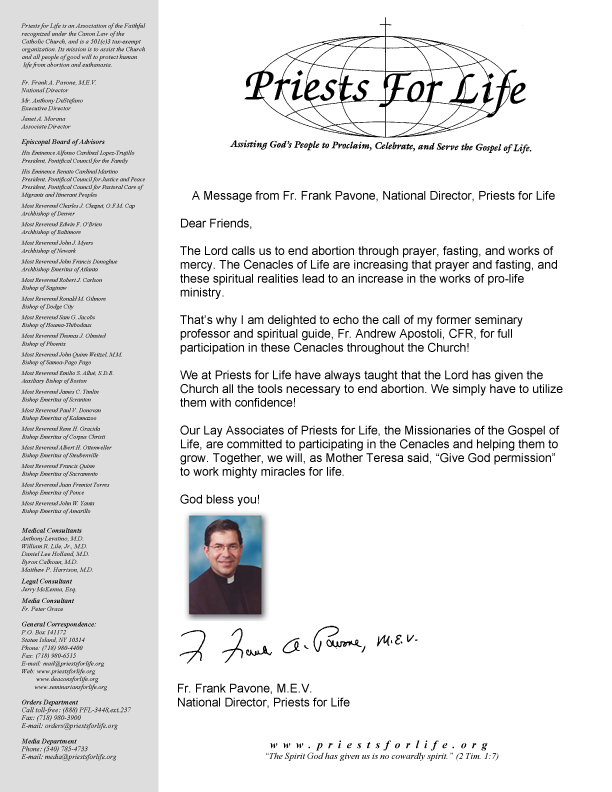 I thank you for you for the fidelity for responding to Our Lady’s request for prayer through the Cenacles of Life! I wanted to add one other request to be added to your prayer intentions. On October 4, 2013, Pope Francis went to Assisi to celebrate the Feast of St. Francis, the patron saint he has chosen as Pope. While there, he asked that all the faithful to make a Novena of Rosaries (one Rosary per day) for his intention, from October 4-12, 2013. His intention is to offer all these Rosaries as a prayer-support for his Consecration of the world to the Immaculate Heart of Our Lady of Fatima on October 13, the anniversary of the great miracle of the sun at Fatima. This Consecration is to ask Our Lady to obtain the conversion of those who have abandoned God and for peace for the whole world. He wants and needs our prayer support, because we know that the more that are gathered in prayer, make that prayer request more powerful. Though we may be separated by many miles in the various places we live through Jesus and Mary, we are united as one. Thank you for responding to this call from Our Holy Father Pope Francis.